The difficulties in the Methodist-Roman Catholic International Dialogue lie in the area of “instrumentality.” Catholics maintain that elements of teaching and ecclesial practice must be held in common before there can be “full communion.” Sister Lorelei Fuchs examines the central idea of church as koinonia from the perspective of both Methodism and the Catholic Church. She follows the line of thinking that I have seen bear fruit from first hand observation, namely that we need a model of the church that embraces both unity and diversity. Sister Lorelei challenges this Methodist-Catholic dialogue to move forward by dealing with unresolved issues in a way that embraces a unity and diversity paradigm. For me this is the bottom line. Two decades ago I would have said, “Who cares? Why should I care, especially since I am an evangelical and Reformed minister, about these ecumenical conversations?” In short the answer that God gave to me became clear, but only over time. I should care precisely because God cares. God cares deeply that all his people “love one another” (John 13:34-35) and God cares just as deeply that “we be one” (John 17:21). God cares that we show the world what his love looks like by learning to listen to one another and by treasuring as his one church our unique diversity in the Spirit-given unity that is God’s gift. 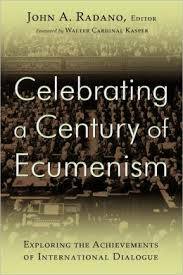 The last one hundred years have provided a number of ecumenical signposts that point thinking Christians to the agreements we’ve already reached. They also point us in the direction of the work still to be done. An ecumenical map for the future needs the “whole” church involved in the conversation if we are to truly learn how we can love another. The argument that this entire effort leads to compromise is a fear tactic that denies the power of the Spirit and the love of Christ has for his whole flock. I believe missional, kingdom-centered, theology is the way to breathe new life into the church and her mission in the modern world. I also believe that the ecumenical fruits of the last hundred years are much needed for this theological recovery to bear lasting fruit. I do not think we can afford to continue this missional conversation without a serious commitment to unity. Everyone who has done serious reading in missional theology knows that Lesslie Newbigin was a “father” of this kind of ecclesiology/missiology. What personally troubles me is that far too few of those who speak warmly about Newbigin’s influence actually see how profoundly ecumenical he was in his teaching and practice. The “spirit” of missional thinking is genuinely ecumenical. Far too few missional evangelicals have embraced this paradigm along with the ecumenical emphasis. To embrace the missional paradigm without the ecumenical is like trying to fly a plane with one wing. To put this another way, we must be careful to link John 13:34-35 with John 17:21. These two texts stand like light houses in “The Upper Room Discourse.” They can guide us safely home in the daunting task of entering the harbors of modern secular culture with renewed vision and hope. They will also guide us, with balance and care, to the shores of Christ’s love and truth if we keep both of them before us as we lead the church in the twenty-first century. This is why I call my vision missional-ecumenism. I intend to spend the remainder of my life teaching and pleading for this understanding of Christ’s kingdom. I believe it is nothing less than ancient-future Christianity.